← Jane Birkin Asks Hermès To Remove Her Name From The Legendary Birkin Bag! 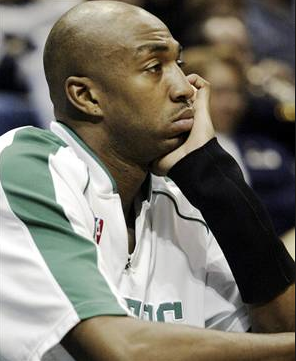 Vin Baker Loses Earnings of $100 Million & Now Works At STARBUCKS! This has to be one of the saddest Rich pro athlete goes broke after retirement stories I’ve come across because its so senseless. Pro basketball player for 13 years make a whopping 100 million over his course of years of playing basketball and after only 3 years of retirement he’s dead broke and struggling. 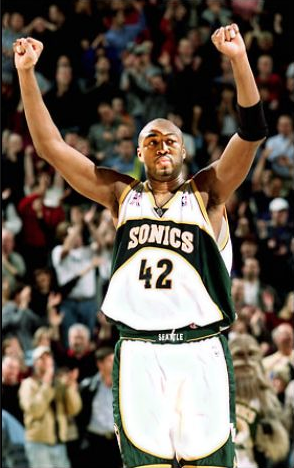 Vin Baker former four-time NBA all-star and Olympic gold medal winner is now a crew member of Starbucks in Rhode Island training to be a manager. “In this company there are opportunities for everyone. I have an excellent situation here at Starbucks and the people are wonderful,” Baker says. Baker then thanks Starbucks CEO Howard Schultz, who once owned the Seattle Supersonics (Baker played for them from 1997-2002), for giving him the opportunity. I can’t stop shaking my head at this guy here you’ve been granted the talent to make a lot of money where you live a more than comfortable life and the ability to take care of your family (he’s married and has 4 kids) and you carelessly blow threw the money. From a net worth of 100 million dollars to $48,000 a year average. What happen to all of Baker’s money you ask? Well like any other multi million dollar athlete Baker enjoyed living the life. He was arrested in 2007 with driving under the influence then later in 2010 he confessed that he was battling with a alcohol addiction. In his mind, a good part of the blame lies with his former financial adviser, Brodeur & Co. Certified Public Accountants. He is now suing them for mismanaging his finances from 1997-2009, costing him his $86 million net worth in the process. Things have gotten so bad for Baker that his house was foreclosed and he was forced to liquidate other assets in order to meet financial obligations. Baker also owed over a million dollars in back taxes, and has had a number of other properties enter foreclosure. This is such a sad case my heart is really with his family they have to be going threw a lot coming from living that lifestyle to barely making it. Maybe he should try using that University of Hartford Degree he has.